There are over 1,000 varieties of washi across Japan. UNESCO recognized 3 out of these, crediting the three communities in Japan that have historically kept the tradition of washi production alive. These three are Sekishuban paper from Hamada City in Shimane Prefecture, Honmino paper from Mino City in Gifu Prefecture, and Hosokawa paper from Higashi-Chichibu village in Saitama Prefecture. While in general washi on the market is made from a blend of kozo (a hybrid Japanese mulberry tree), the mitsumata plant, and the ganpi plant, these three communities make washi solely with kozo. Its production process requires patience and makes use of techniques passed down from previous generations. First, the outer bark of kozo is stripped down, leaving the white inner part to be soaked and cleaned in clear water for several days. All three locations have an abundant source of clear water, which is essential for allowing consistency in creating high quality paper throughout the year. While it soaks in clear water, the bark is bleached and any impurities are carefully removed before it is boiled. The craftsman will then pound the softened bark with a wooden stick. The softened fibers are placed on a bamboo screen called sogitsuke and are then rocked back and forth using a traditional technique called nagashizuki. Rocking the fibers on a screen reduces the amount of liquid inside and encourages the fibers to stick to each other. The sheets of paper are finally dried in sunlight, which is a key step in making the paper soft, yet durable. This entire process is surprisingly all done by hand. The communities of Hamada, Mino, and Higashi-Chichibu are praised for having kept the tradition of washi production alive for centuries. Most of its people play vital roles in the washi industry, ranging from the cultivation of mulberry plant, teaching the technique, and the actual production of washi products. It is for the most part thanks to their effort to keep the art alive that washi was recognized by UNESCO. Artisan rocking the kozo fibers on a sogitsuke to form a sheet of paper. Washi possesses some distinct features that differentiate it from Western style paper made of wood pulp. One such feature is the color. Normal papers are bleached white chemically, and so they end up turning yellow after years of exposure to light. Washi, on the other hand, does not use any chemicals in the bleaching process, and its exposure to the sun will actually make it even whiter over time. Secondly, these hand-made washi are far more durable compared to its machine-produced counterparts. Since the hand-made drying process allows the water to evaporate slowly, the resulting product is quite durable, making it highly workable even when it is wet. In fact, the highest quality washi is estimated to last for over 1,000 years. Finally, washi have an amazingly soft and textured surface. Since kozo fiber is naturally slightly transparent, washi lets light shine through, giving the paper a naturally warm feeling. Washi has been a part of Japanese society since ancient times, and it has many uses. For example, the oldest family registry form was written on Honmino washi, paper made in Mino City. This old family registry dates back to the year 702, and it is now stored in Shosōin Treasure House, located in Todai-ji, Nara, where over 9,000 ancient artifacts are stored. (The treasure house is also on the UNESCO Intangible Cultural Heritage list!) 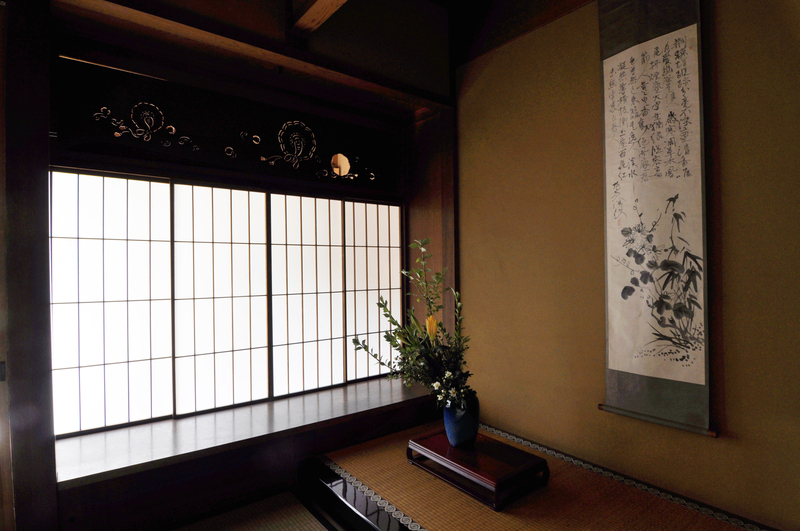 More commonly, washi is used as shoji paper, for a traditional style sliding door in Japan. Given the soft off-white color and texture, it lets in gentle sunlight, creating a soft ambience in the room. You may come across shoji in ryokan (traditional Japanese inns) and even in some hotels or restaurants. An additional advantage to having shoji paper screen doors is that washi absorbs moisture in the air when humidity is high and releases it when the air is dry—perfect for Japan’s humid climate. The thinness and durability of washi paper is also ideal for repairing old paintings, which is why it is used in repairing pieces of art in the Louvre Museum and the Vatican Museum. Today, there are more washi products with a modern touch and design, such as accessories, lettersets, postcards, lamps, and paper fans among others (which would make lovely souvenirs!). Washi is also used in many Japanese festivals in the forms of lanterns and masks. For example, washi is the star of the event at the Mino-Washi Akari (light) Festival held for two days in the middle of October in Mino City. Lantern art made of thin Honmino paper are put on display on the Old Streets (an area preserving traditional Japanese architecture), still lined with traditional Udatsu, a roof extension designed to prevent the spread of fires, and also a symbol of prosperity. The display of warm and gentle light showcases the possibilities of washi, and it is a sight that should not be missed. The recent registry of washi in the UNESCO Intangible Cultural Heritage list has led to a surge of young aspiring apprentices studying the craft of washi. The craft of washi is entering a new era, as the world further recognizes its refined beauty and further encourages craftsmen to keep this art form alive.